I made another version of Kwik Sew 717, this one with absolutely no lace. Plain jane, pure function. I think I’m almost done with the slips. Almost. Although there’s still a couple of patterns I’d like to try and Funnygrrl sent me some great skin-tone fabric it’d be awesome to use. Cuz she’s awesome that way. Especially her latest post on body image and negative self talk. There isn’t much to say about it. I made a slight small-bust adjustment, removing about half a cm from the width of each cup, and shaving about the same amount off the bottom. I should’ve left out the two funny little darts and kept the gathers, but I didn’t think about this until after the darts were cut and sewn. So the cups aren’t as pretty as they might be otherwise. They do seem to fit better than the first ones, at least sans bra. I used the shell hem, top and bottom. I might be getting good at it. And you get arty modeled photos because that’s the only filter that didn’t show anything under the slip. Not great but better than dressform pics. I hope. Happy eggs ‘n bunnies day! We’re off to the farm to enjoy “spring,” which in the last few days has included about four inches of snow and freezing rain, which I think is actually worse than a full-blown blizzard. But hopefully we’ve turned a corner now. 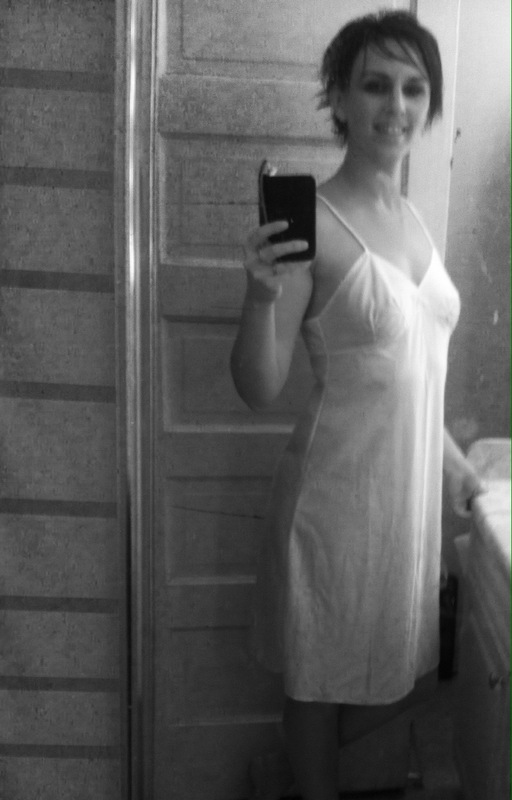 Because I have springy dresses to wear with my slip, dammit! The arty filter was actully perfect. Lends a vintage air that shows that slip off. Thank for sharing, as always an inspiration. I just cut my first kameez tunic and it fit pretty well. Thanks. Thank you! I have a weakness for cheezy filters, I admit, though I usually try to keep it in check. That’s exciting about the tunic, and good for you! I like the arty filter as well. Lovely slip. 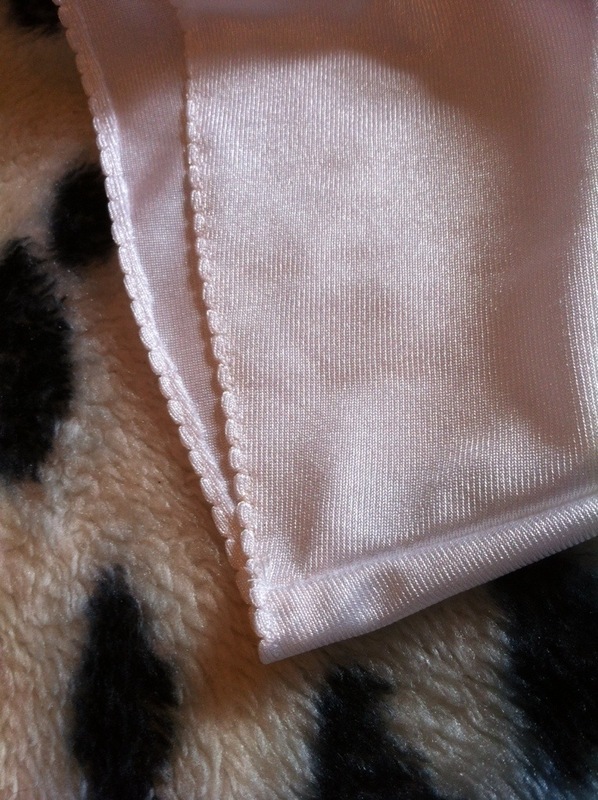 I want to sew a bit more undergarments as well but am a little scared still. Although I do have some beautiful fabrics that would be perfect for something like this… Hmm. We’ll see. You are on a roll! I really need to look at making slips because I cannot, for love or money, find what I need in shops of any sort. I’ve looked and tried. 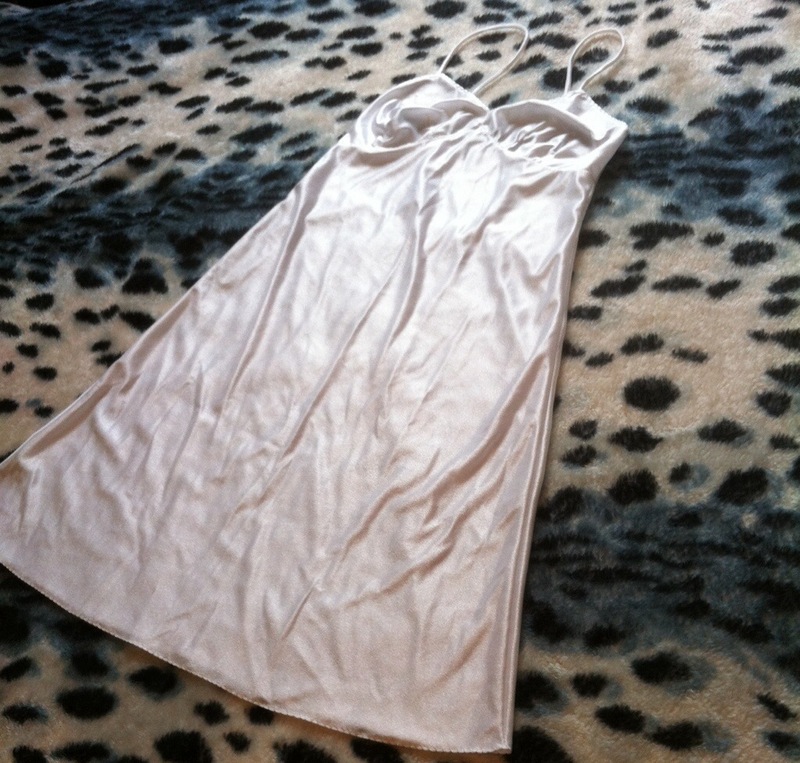 Will this one work under the the 70s cream and red dress, which I wonder if you’ve worn yet…? I guess I’m not a lacy person, because I love this one! And every time you post a slip it makes me twitch and want to make one myself! Lovely job!